Across the nation people are purchasing solar glasses to watch the first total solar eclipse in the last 38 years. Although solar eclipses are not uncommon, on Aug. 21 a total solar eclipse will be visible across the entire continental United States. Most of the time, solar eclipses are only viewable from remote locations in the middle of the ocean or near the South Pole. The last time a total solar eclipse was visible in the United States only people in a small portion of the northwest and Canada were able to see it. The last time a coast-to-coast eclipse occurred was nearly 99 years ago and the next one will not occur until 2024. Although Adair County is out of range for the total solar eclipse, residents will still see a partial eclipse occur. You may view the partial eclipse on Monday starting at 12:01 p.m. and lasting until 1:30 p.m. Even though we will not see the total eclipse (where the moon completely covers and blocks out the sun) in our location, it is important that you take precautionary measures to protect you and your family during this event. ISO compliant solar glasses have special filters on them to block the sun’s damaging radiation and they also reduce light wave intensity so that you may view the event without damaging your eyes. Regular sunglasses and even some brands labeled as solar glasses (those not in compliance) are not going to protect your eyes during an eclipse. Even with safety compliant solar glasses one should never view the sun through a telescope or any other type of magnifying device. Magnified sunlight can be especially damaging and will result in serious eye damage. Can’t find solar glasses in time for the event? No worries, because you can make your own! Just go to www.jpl.nasa.gov/edu/learn/project/how-to-make-a-pinhole-camera/ and follow the simple steps to design your own custom solar eclipse pinhole projector. 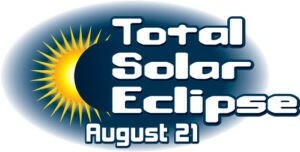 Refer to the American Astronomical Society (AAS) page at www.eclipse.aas.org/resources/solar-filters for a list of manufacturers and authorized dealers of eclipse glasses and handheld solar viewers verified to be compliant with the ISO 12312-2 international safety standard for such products.